I can't remember reading a book that had this many events and characters crammed into just under 600 pages! I don't even know where to start explaining the story to you. But, I must somewhere, so here it goes. 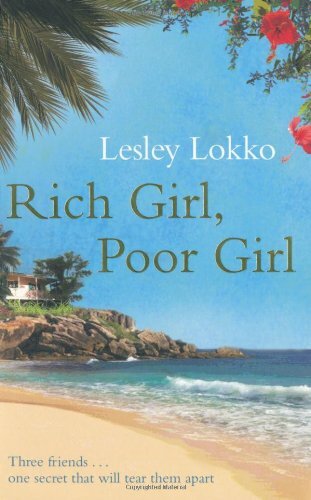 Essentially Rich Girl, Poor Girl follows the lives of three friends (Caryn, Tory and Nic) throughout fourteen years of their lives. There is no detail spared - you learn about their upbringing, how they met, what they did after leaving school, follow all their relationships, careers and their scandals. But not only does it explain, detail by candid detail, their lives, but also the lives of those around them and even those they have yet to meet. This includes the 'mystery girl' Estelle who is supposed to play a central role in the story. Now if you ask me, even if you took Estelle completely out of the picture and erased everything involving her, it wouldn't matter. She doesn't come into contact with any of the other characters until more than half way through the book. It's supposed to be a significant storyline, but Lokko spent so much time building up her character that by the time she reached the climax, she just seemed to throw her aside and bury her under the rubble. And to be honest, the book might have actually been better without Estelle. In saying that, I do believe there are far too many characters. Although their development is good, the move from person to person can be very abrupt. Tangle all of this in with rapidly changing timelines and it can get very confusing. There were multiple times I wasn't sure when I was supposed to be! The ending was also slightly anti climatic. When it finally builds to the point the entire book has been leading to, the rich detailing comes to an end. It's as if Lokko realised she'd gone on for far too long, got tired and decided to finish it off quickly. 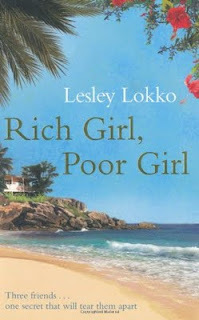 I say all this, but I did actually enjoy reading Rich Girl, Poor Girl. The stories and the characters are interesting, if not a little confusing. It isn't something I would read again, nor am I tempted to read any of Lokko's other books, but it certainly does draw you in. I would have much preferred it though, if at the beginning of each chapter there was a clear indication the year and what character would be followed; something as simple as that would've definitely enhanced the experience.